It’s interesting to see the growth in conversations as a whole from 2015 to 2016. Microsoft and Playstation in particular have seen considerable increase in the number of mentions, quickly followed by Samsung and Intel. 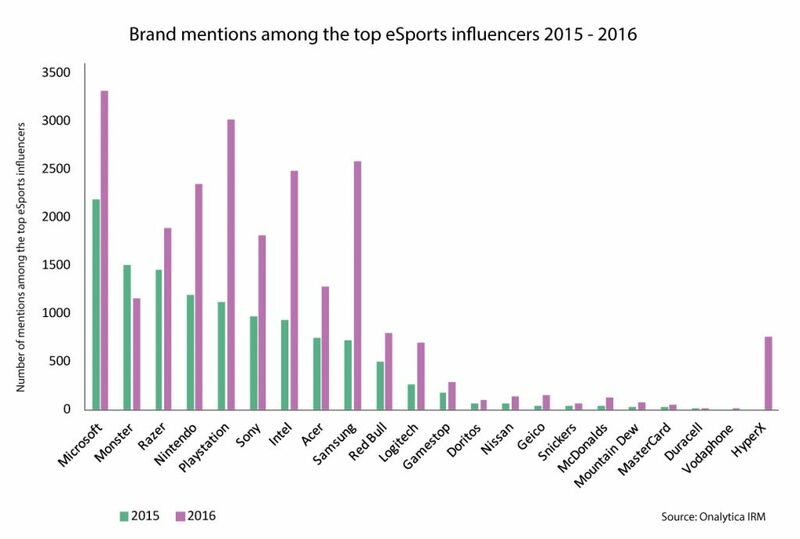 Other brands making great improvements in their share of voice among the top influencers are Nintendo, Razer and Acer. 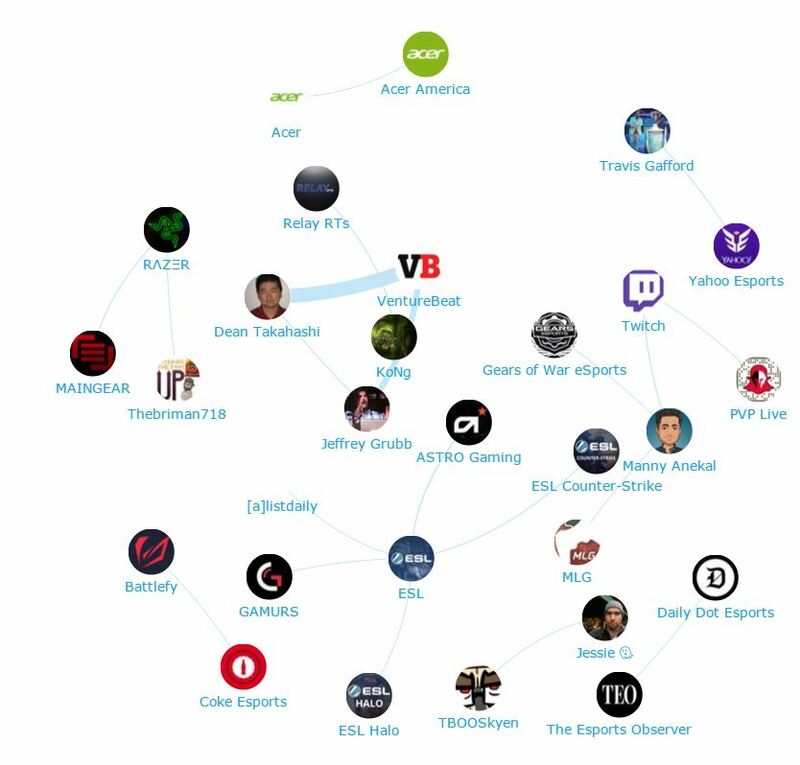 Here is an example of the network of influencers mentioning or talking to Acer in the context of eSports. 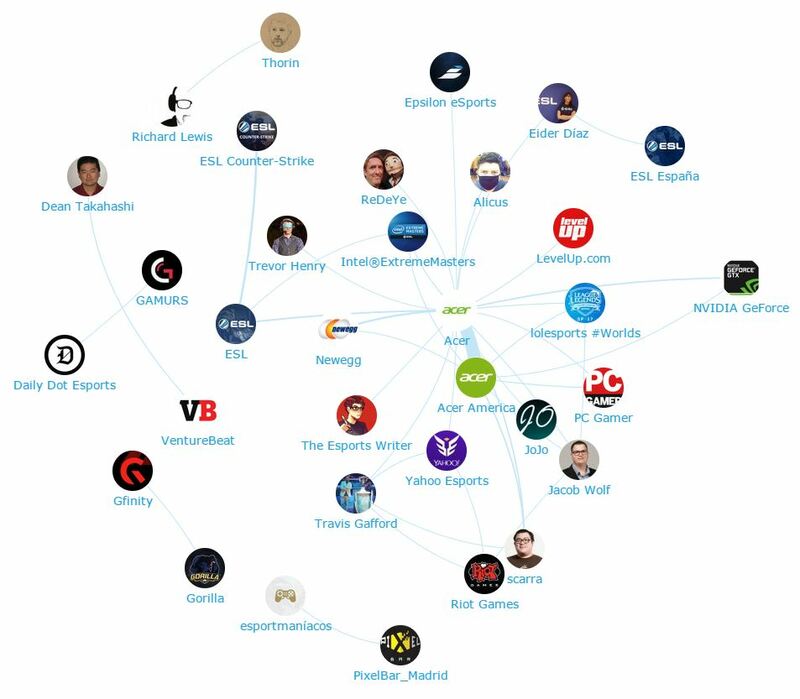 This map was created with our Influencer Relationship Management software (IRM). Latest research on the global eSports market is that it is now worth $892 million and should exceed $1 billion in 2017 according to Superdata research. The rapid pace of eSports’ growth at present allows the prediction that a year-on-year growth of the eSports economy will be by 43%. Disclaimer: As ever with these lists, it must be stressed that the ranking is by no means a definitive measurement of influence, as there is no such thing. 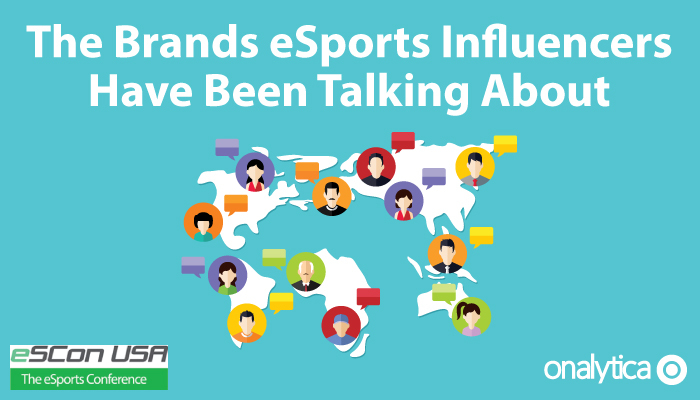 The brands and individuals listed are undoubtedly influential when it comes to driving discussion around eSports.